Washington Park is bordered on the west by E. Madison Street which extends up until its north border, at the intersection of E. Madison Street and E. Blaine Street. E. Blaine meets the east border of the neighborhood: Lake Washington. Its eastern boundary extends down along the shores of Lake Washington until the intersection of Lake Washington Blvd E. and 39th Ave. E. In essence it is practically triangular shaped. 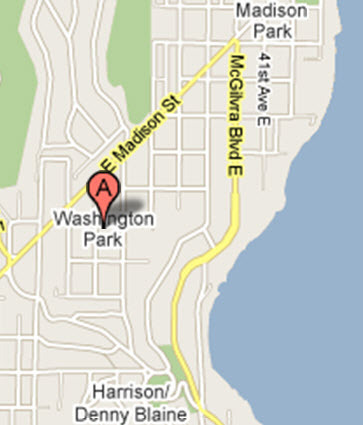 Wikipedia sets its boundaries for Washington Park a little tighter too. 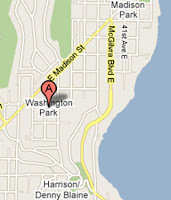 However, what makes Washington Park a great Seattle neighborhood are the historic homes that grace the area. One of these homes is the current home of the President of the University of Washington. This house, built in 1907, sits on a 5 acre lot overlooking Lake Washington. The grounds are stunning as the view. The house was donated to the University with the clause that it must be occupied by the President of the University of Washington. The other neighborhood homes vary greatly in structure and uniqueness, although the homes tend to be larger than an average Seattle home and many share the amazing views of Lake Washington and surrounding mountains. Ewing and Clark currently has five active listings in this wonderful neighborhood, so don’t miss the opportunity to live in such a historic and beautiful place.